Would you be willing to check out the passengers on your next scheduled flight? Quicket is a travel app that works with smartphones and tablets. The app takes care of flight tracking, ticket booking and even provides airport maps, detailed, and has recently released the updated version. 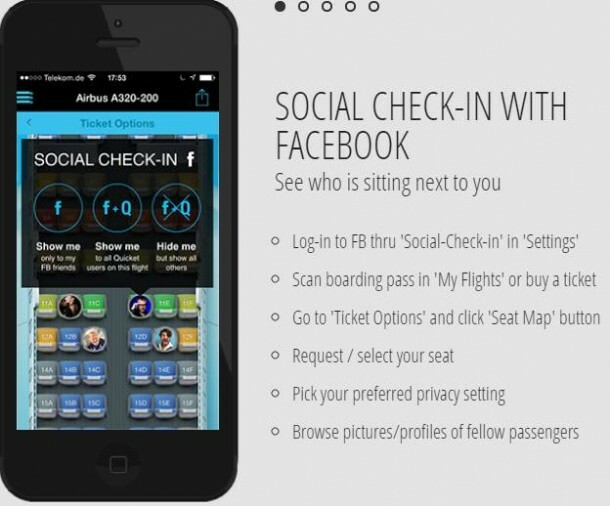 The app allows users to check out the fellow passengers’ social profiles before they even step into the plane. 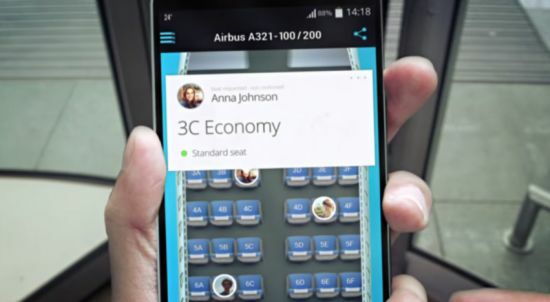 The option ‘social check-in’ will allow passengers to make their profile available and also allow them to check others out by clicking on the avatar that has been linked to particular social profiles. One can even log in anonymously and check out other passengers without giving out one’s own personal information. However, only those who check the option of social feature shall be made visible to nosy fliers. 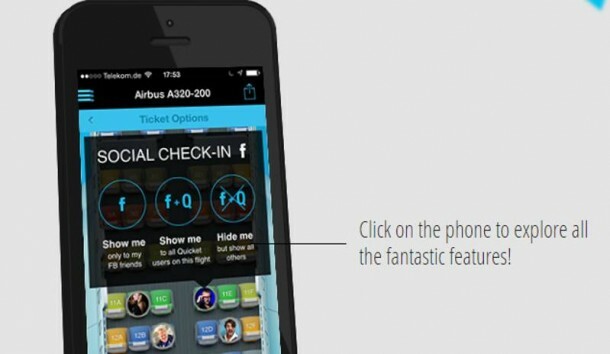 A spokesman from the company said; ‘Only users who approve the social feature will be presented on the flight.’ The app’s iOS and Android version has Facebook ‘social check-in’ offer incorporated into it. So for those of you interested in stalking your fellow passengers on your next flight, this is the app to download!